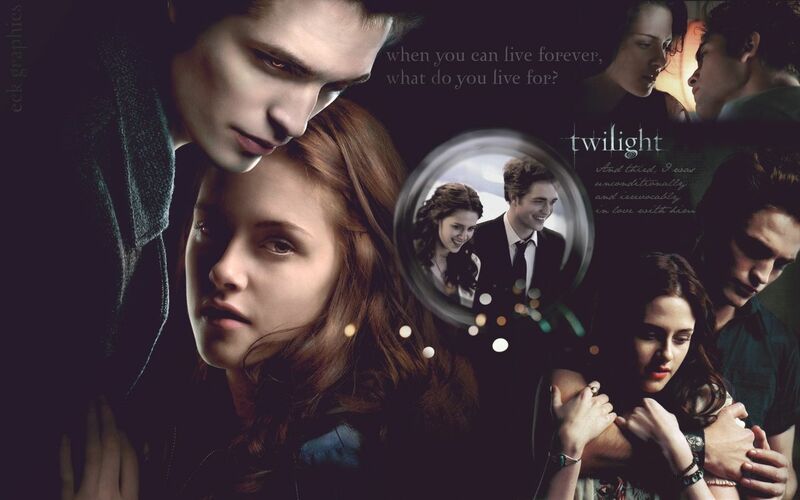 Special vampires who only eat blood of animals in the forest through the world live in twilight. They are extremely stronger, fast as light, white skin as snow, and only appear in the cloudy, changeable the color of eyes. When they are in the sun shine the skin looks like dazzling diamond. I am indeed attracted. There are six vampires of vegetarian in Edward family. Everybody act per character in their people life. In my opinion the most awesome chapter is playing the baseball. Intense clash with the thunder Edward try to run as fast as he could to pursue the baseball. It is not the usual game. Every time Edward manages to endure to stop the want to eat the girlfriend’s blood even if the smell is very charming. But no matter when the crisis is coming Edward appears to protect his lover. I look forward the sequels-New Moon so far.